IFor each table, edge-glue stock to make a blank slightly larger than the top, and cut the top (F) to size. 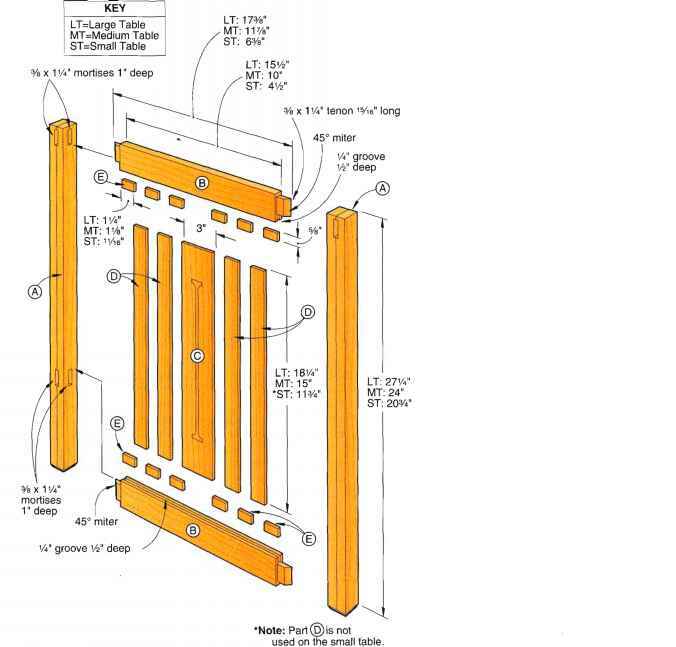 2 Install figure-eight type tabletop connectors on each frame assembly, where indicated on Drawings 1 and 2. Locate the center of the 9/i6" hole for each connector 'A" from the inside edge on top of the rail. 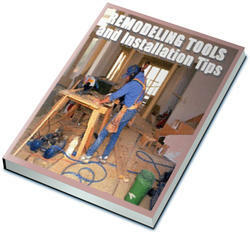 Drill the holes with a portable drill, as shown in Photo C on page 33. 3Lay the top facedown on the workbench, and center the inverted base assembly on it. Mark centers for the attaching screws. Drill pilot holes, taking care not to go through the top. Attach the top with screws. 'Plane or resaw to the thicknesses listed in the Materials List. Parts Initially cut oversize. See the instructions. Materials key: LO-laminated white oak, O-white oak, EO-edge-glued white oak,. Supplies: Tabletop fasteners, #8xy4M flathead wood screws. 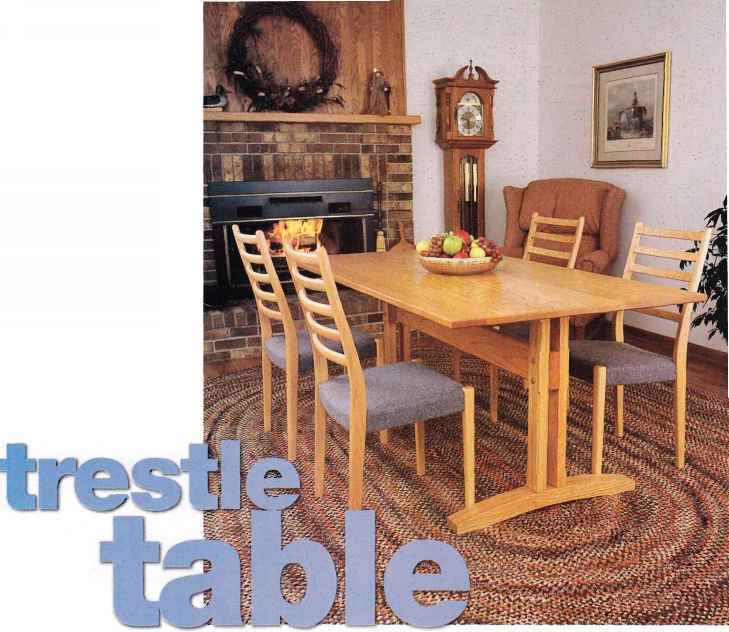 Trestle tables date back hundreds of years, and were common in the Middle Ages. The early tables consisted of loose boards temporarily set on trestles—open, braced frames. The table has undergone many changes in design to meet the needs of those who built it. The Shakers, for instance, designed and constructed many variations—some up to 20' long— for communal dining. IRip and crosscut eight pieces of3/i"-thick oak to 2Vs" wide by 241/2" long for the four uprights (A), shown on Drawing 1. 2 With the best surfaces facing out, glue and clamp two pieces together for each upright. Check that the ends and edges are flush. Later, scrape off the excess glue, and plane or joint VV' off each edge to ensure flatness. 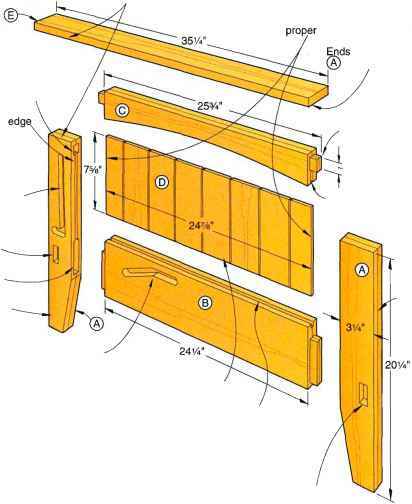 Trim both ends of each upright for <1 23 Vi" length. ICut eight pieces of 3A" oak to 3W wide by 29" long for the two feet (B). For each foot, laminate four pieces together face to face, keeping the ends and edges flush and best sides facing out. 2 Scrape the excess glue off the edges (not the ends) of each foot. 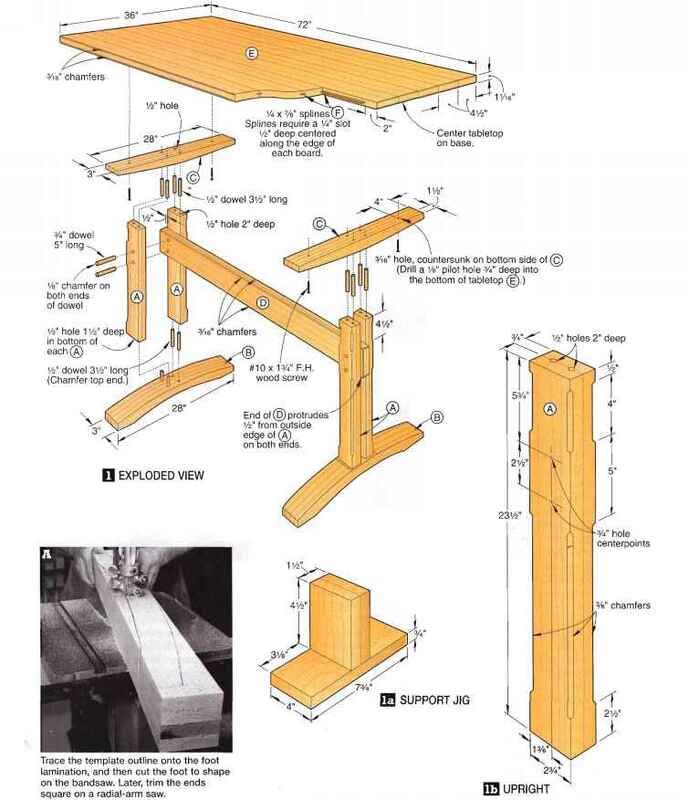 Plane or joint '/V off each edge to create a 3" finished width. 3 Using Drawing 2 on page 38, make a paper template for the side profile. To do this, start by cutting a piece of paper to 3x14", and draw a 1" grid on the paper. Now, lay out the shape of half of one foot on the marked grid. Mark the points where the foot-pattern outline crosses each grid line. Then, draw lines to connect the points. Cut the paper template to shape. 1/4 x 7/s" splines^F) Splines require a W slot Vz deep centered along the edge of each board. End of ©protrudes Vz" from outside edge of (A) on both ends. Trace the template outline onto the foot lamination, and then cut the foot to shape on the bandsaw. Later, trim the ends square on a radial-arm saw. Mark centerline on lamination to position template. Initial size of lamination j^One square=1" 3/4"